The Virginia Supreme Court is expected to issue new rules about defendants getting onto payment plans for past due fines and costs, according to this article. Currently it can be a daunting and sometimes impossible task for lower income people to get their fines and costs onto a payment plan. 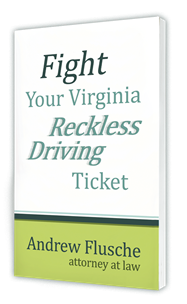 If you’re past due on any fines without a payment plan, Virginia DMV suspends your license. Which means that you can’t drive to work to make money to pay your fines. Some courts require half of the outstanding balance to get onto a payment plan. That doesn’t sound terribly onerous, but sometimes fines and costs for a simple traffic case can easily top $500. A lot of people have trouble coming up with that much money within the default 30 days they have to pay. A uniform fines / costs payment plan system would be a great change for Virginia. Instead of people giving up and risking their freedom to get to work, hopefully those folks could get onto a reasonable payment plan. Then the Commonwealth could eventually collect its overdue fines / costs, and the defendants could comply with the law.